**Ships within 1-2 business days. Optic 1 XL 100w COB LED Grow Light utilizes the latest in technology at every level. 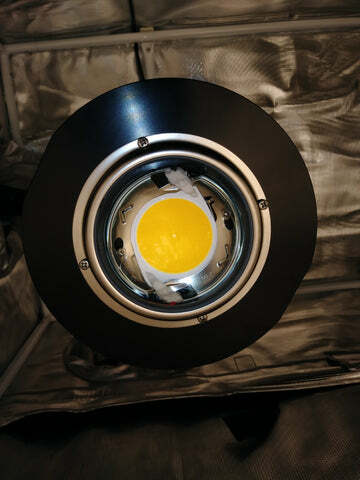 Starting with CREE's most efficient & highest yielding COB to date the CXB-3590 which illuminates your grow space in our daylight white color temperature. 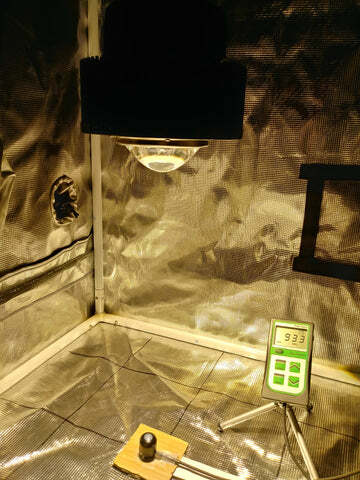 The passive cooling system has been overbuilt by 25% to help the light run cooler and extend the lifespan of the COB. 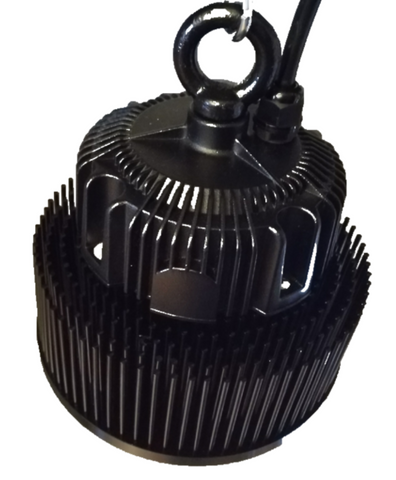 Industry best Meanwell Driver pumps 100 true watts of high power growing through CREE's USA Made COB. Modern day glass lens technology allows us to spot beam every photon into our desired coverage area while giving you unprecedented canopy penetration resulting in more developed flowers deeper into your canopy and higher end yields. Worth every penny. Impressive growth, canopy penetration, and spectrum. I bought this light in Dec. of 2018, to augment a 600 watt Viparspectra. I will buy another one this spring. Picture is Durban Poison and an experimental F1 at 35 days of flower. Works as advertised. Runs cool in my small tent, where heat issues are always a concern. So far I'm into the third week of veg. and plants are thriving. 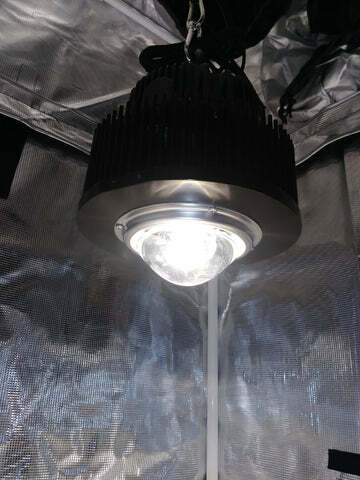 I'm using the Optic as a supplement to my 600 watt LED, and I notice better canopy penetration. Love to see what this light will do when I flip to 12/12. All and all I'm happy with this light and may pick up another one before indoor season next Fall.